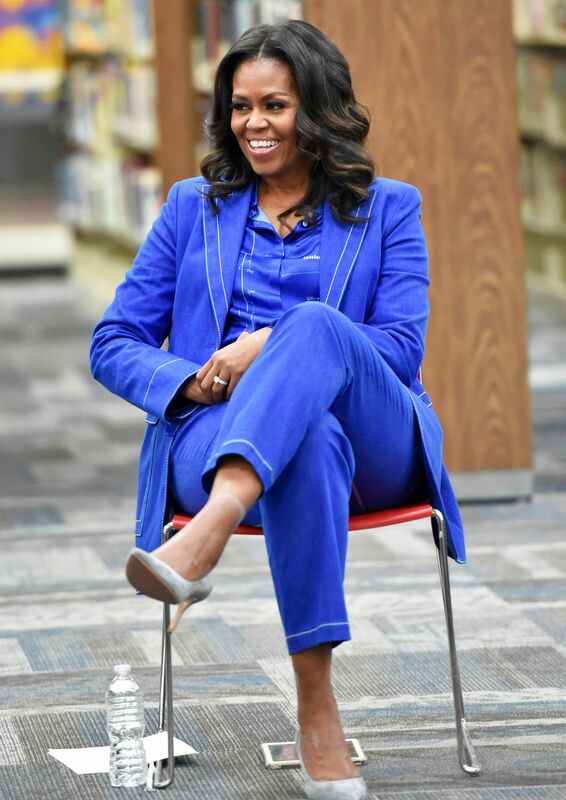 Michelle Obama is currently on a book tour for her new memoir, Becoming, and she is using her wardrobe to separate herself from her FLOTUS persona. 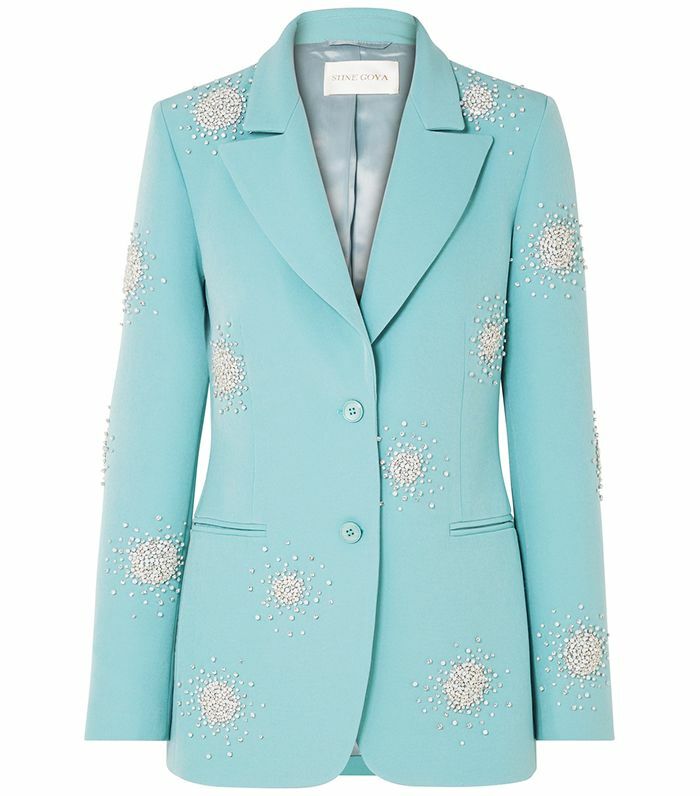 She is wearing outfits and labels that are far away from her traditional styling—leaning on trouser suits, cult Instagram brands like By Far and trend-led touches, such as '80s-inspired crystal brooches and saddle bags. 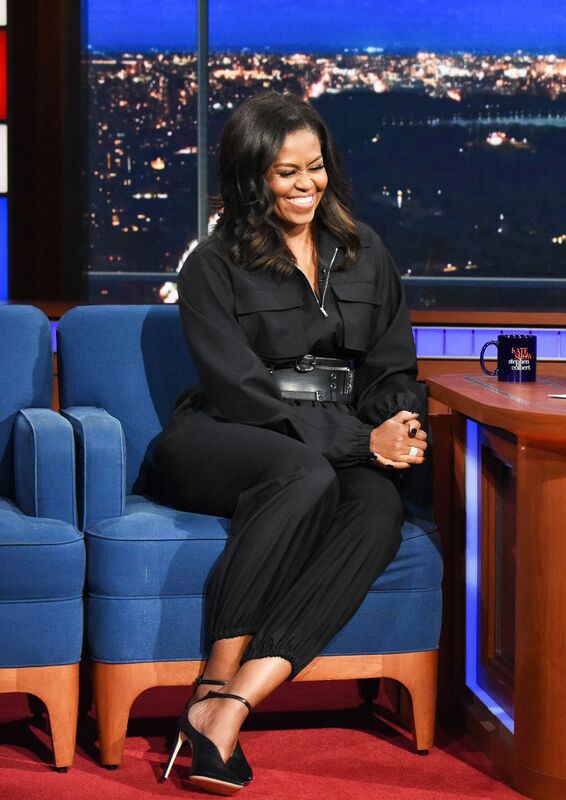 Her most recent look, however, has got to be the best to date. 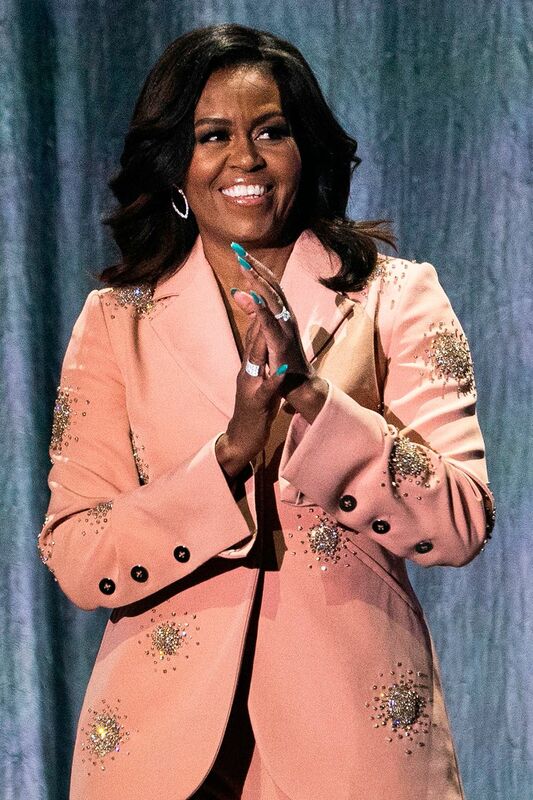 Waving goodbye to the formality of White House style, Michele rocked up to the Copenhagen stop of her tour in an unbelievably cool crystal-embellished, blush pink suit from Scandi label Stine Goya. 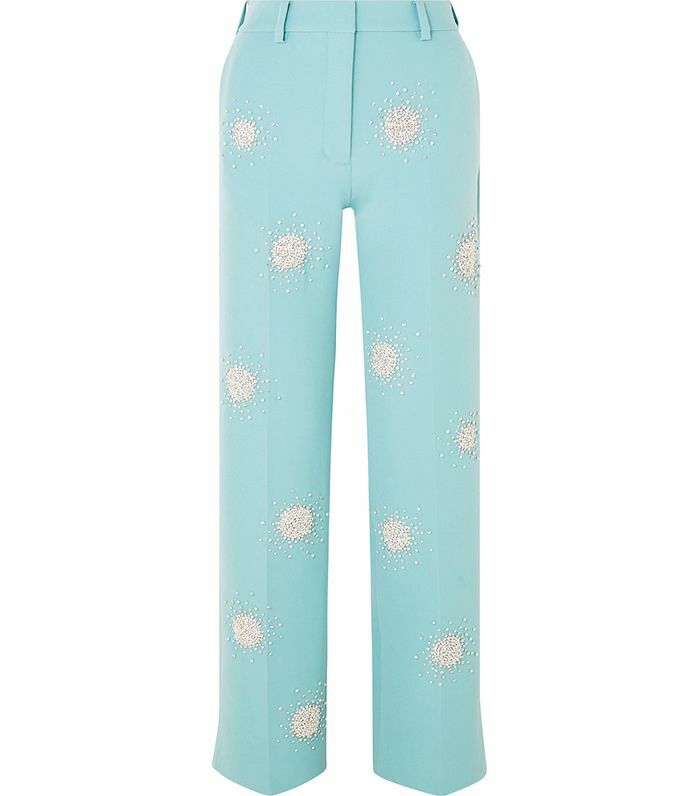 A customised iteration on the brand's blue two-piece (see below), the look was seriously flattering on Michele's statuesque proportions, which were further enhanced by a pair of metallic court shoes. 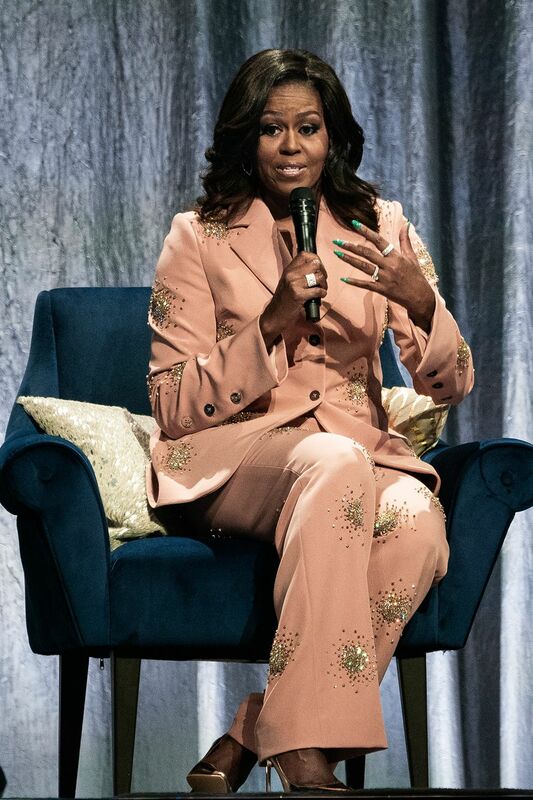 This has definitely been given the Who What Wear seal of approval—more of this please Michele! 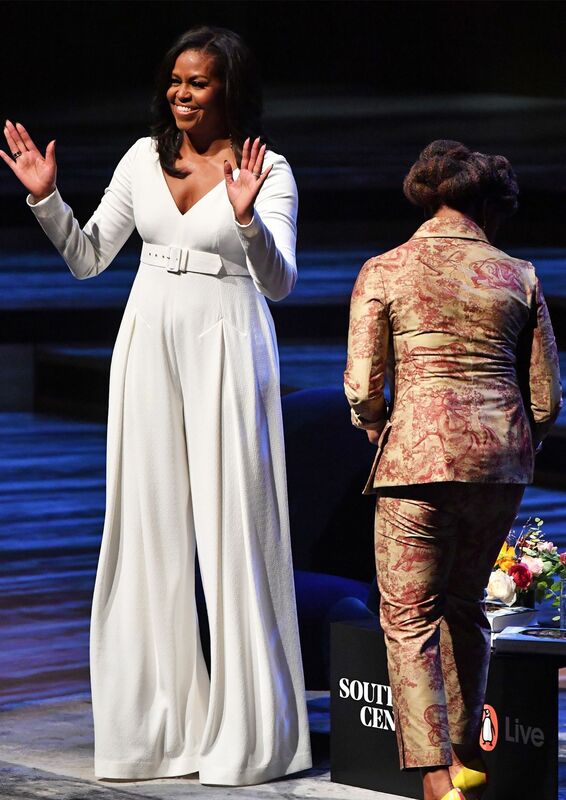 Scroll down to see the suit in all its glory. 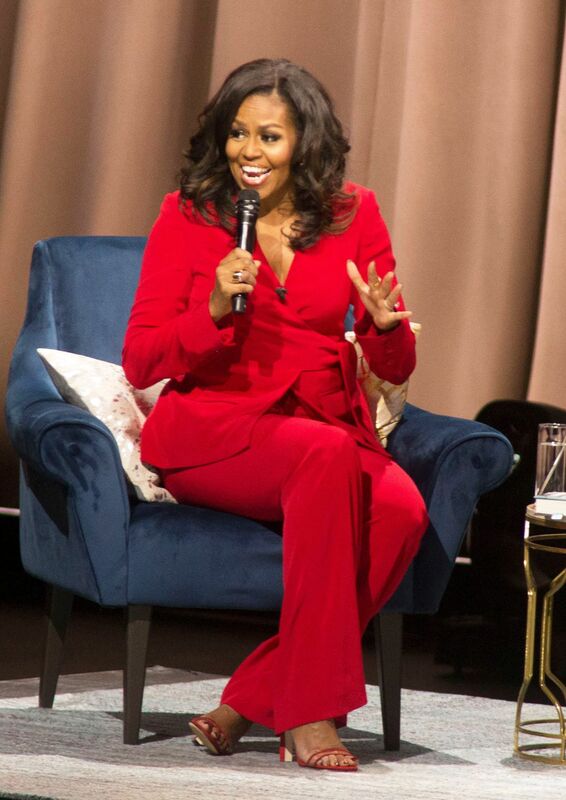 On Michele: Stine Goya suit. 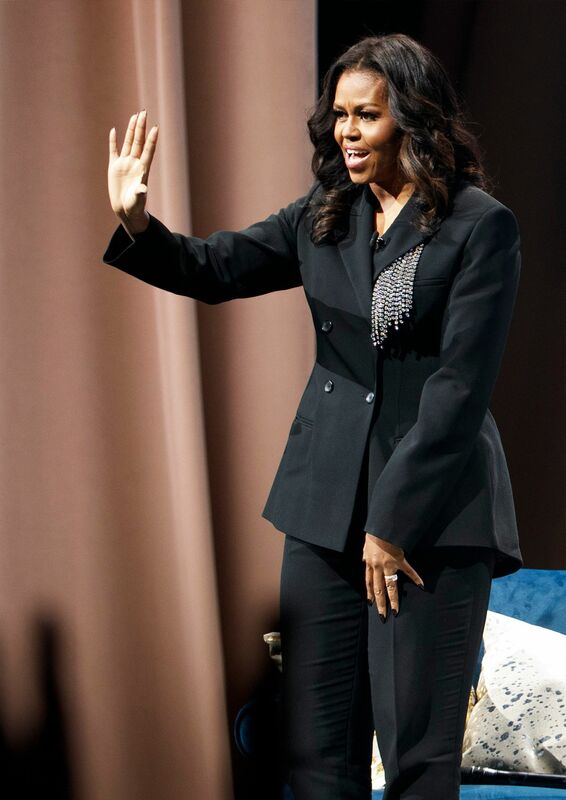 Style Notes: Michelle wore black slim-leg trousers and an off-the-shoulder jacket with a pair of black boots by By Far. 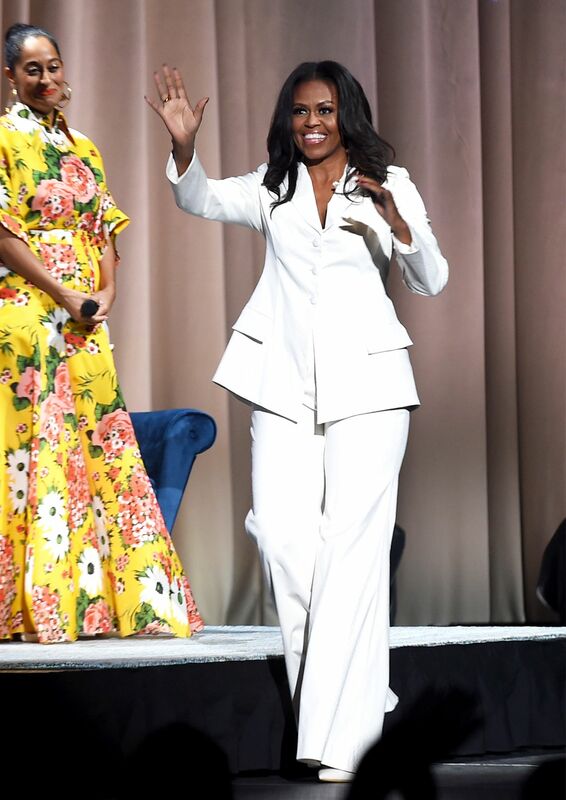 Style Notes: Michelle's denim trouser suit with a white T-shirt is a relaxed spin on suiting. 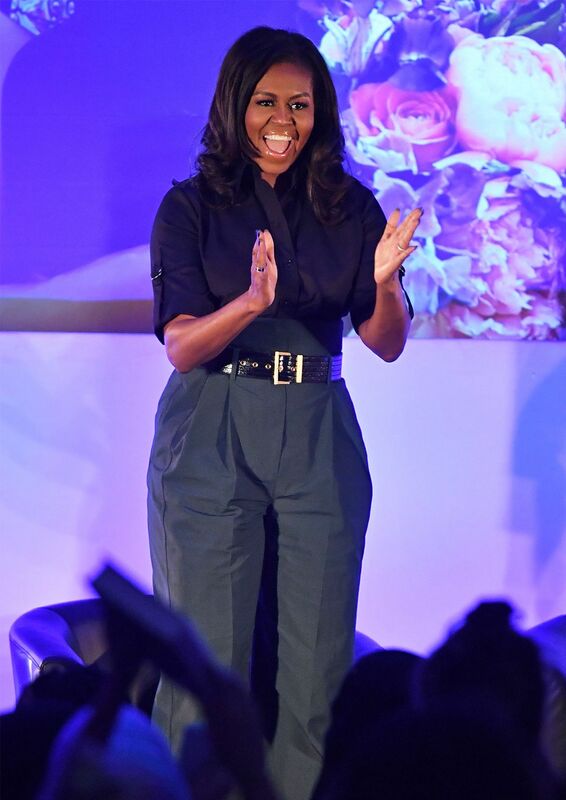 Style Notes: Michelle's high-waisted charcoal trousers look amazing with her mock-croc black leather belt.